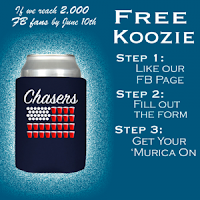 Frugal Mom and Wife: Possible Free Koozie From ChasersCo! Possible Free Koozie From ChasersCo! Head on over and "like" their page, fill out the form and submit.